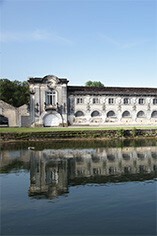 Cognac Tiffon is a much acclaimed family-run distillery with history that dates back to 1875. Based at the Chateau de Triac, just 5 kms from the town of Jarnac, which was first built in the 11th century, and fully restored after catastrophic fires and extensive damage during the Hundred Years’ War. Today, the family owns 40 hectares of Grande Champagne and Fins Bois vines, overseen by cellar master Richard Braastad, who comes from a historic cognac producers’ family. Pineau de Charentes is a fortified wine, blended of slightly fermented grape must and eaux-de-vie (Cognac). It aged at least 24 months in oak barrel. It is a refreshing aperitif, made from red grape variety such as Merlot and Cabernet-Franc that give sweetness and fullness on the palate. 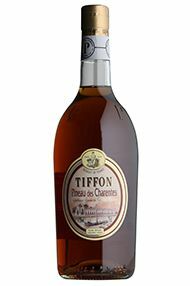 Established in 1875, Cognac Tiffon is a 4th generation family business, with 40 hectares of vines in the districts of Grande Champagne and Fins Bois. The production methods are traditional at every stage from vineyard, via winemaking to distillation. 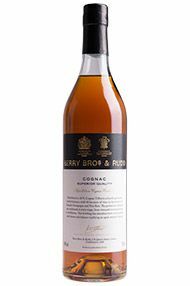 This bottling has abundant fruit on the palate, with finesse and balance typifying an aged, mature Cognac. 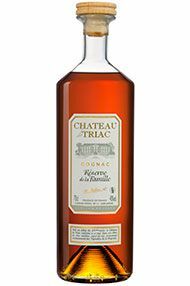 This exquisite cognac comes from the vineyards around the castle Château de Triac, and has a maturing period of fifty years or more. The tasting profile includes notes of oak and rancio, complex spice notes, intense fruit aromas. Based at the magnificent Chateau de Triac, just 5 kms from the town of Jarnac, home to the Tiffon family who has been running the property since 1875. It encompasses 40 hectares of Grande Champagne and Fins Bois vines, overseen by cellar master Richard Braastad, who comes from an old cognac-makers family.